Picked up Pandora's Tower (Wii). Don't know why XSeed took so much longer with this one than they did with The Last Story, but I'm just psyched to at last be able to try this one out. Martin III wrote: Picked up Pandora's Tower (Wii). Don't know why XSeed took so much longer with this one than they did with The Last Story, but I'm just psyched to at last be able to try this one out. I've had an old beatup cart for a long time and always wanted a nice complete copy. I also have Déjà Vu but have owned that for a long time. 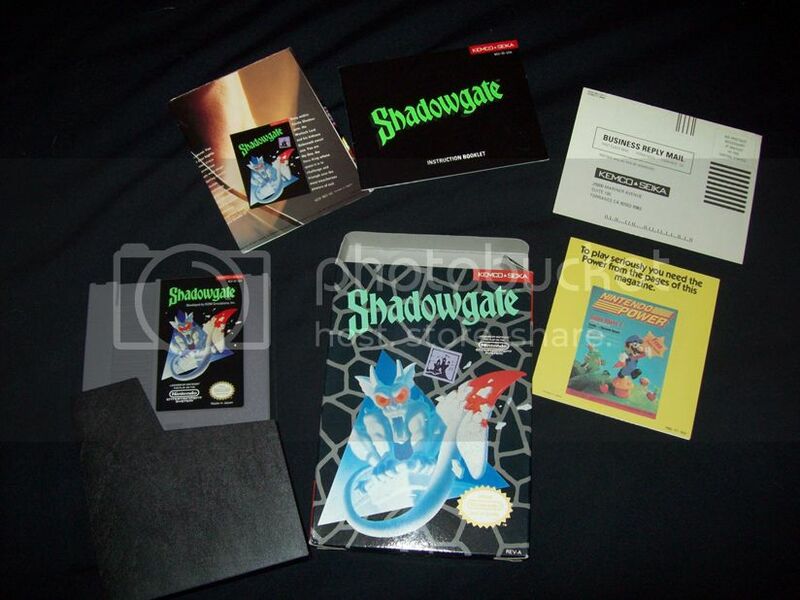 Always wanted the NES version of this with a book in good condition. 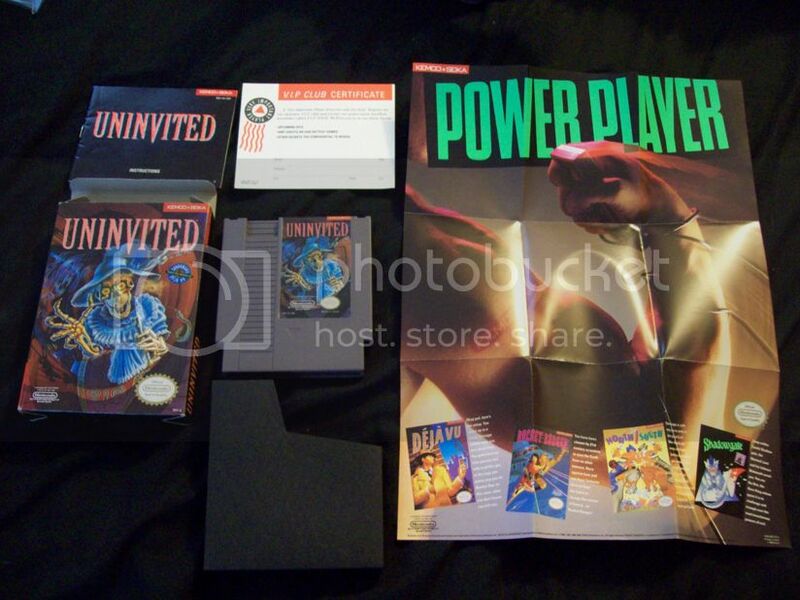 Nice and practically unused CIB. Sorry, I didn't unfold the posters for the photos. 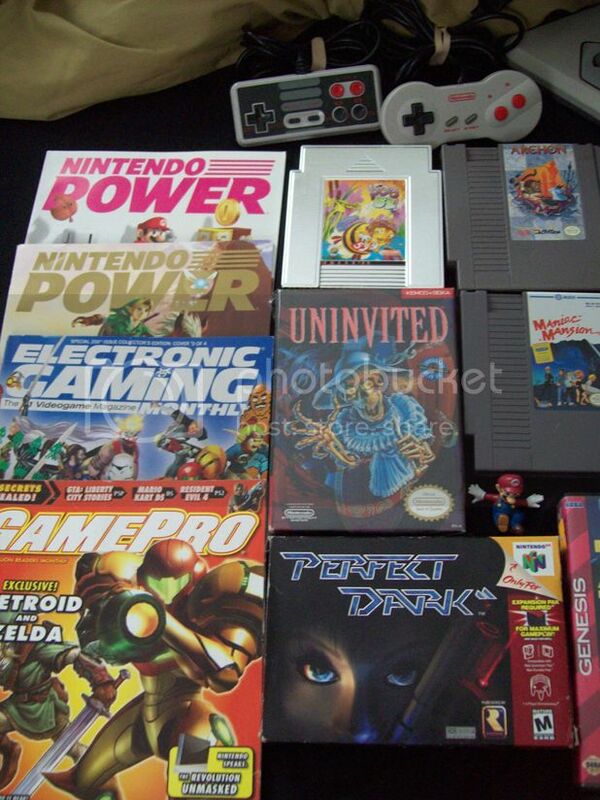 I'm one of those people who don't consider and item complete in box unless it has all the mailers, posters ect. I personally don't need the bags or original twist ties to consider an item CIB but the warranty card better be there. 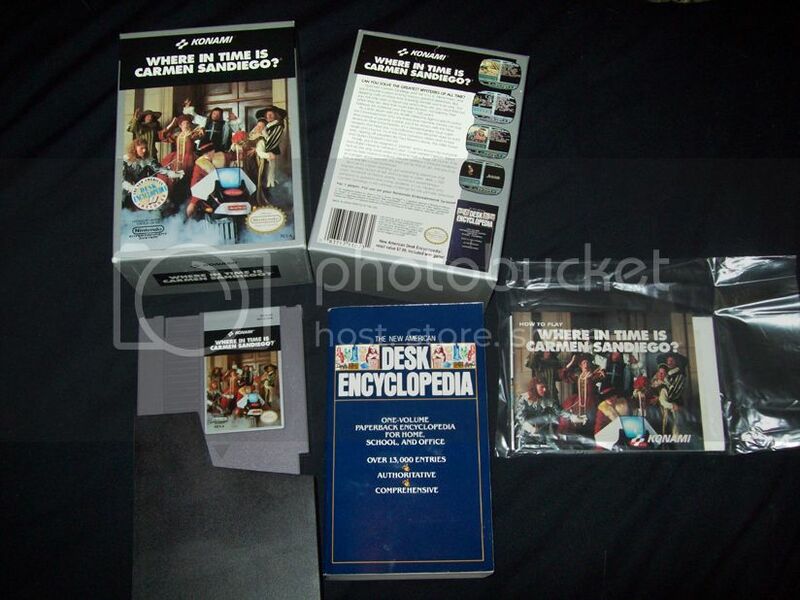 I'm digging that Carmen Sandiego big box & desk encyclopedia! The best part of Where In Time Is Carmen Sandiego is getting the coffee cup to land correctly..... I wouldn't mind having a complete copy of it though. It is a pretty cool set. correction via "L1" = 1st person switch. Very good sound. Dreams are used for the investigator who talks to his alter ego. And we control this duo. and come together again. Greenvale is a nightmare disguised as a dream. The past shapes the present. People and their depths. Facades behind facades. Graphically, this can not be concluded, because graphics are cosmetics. It jerks like sow, the engine noise of the cars is like the dentist. This is the real price you will pay. Dramaturgy is the essence. Materialized allegories. Dubbing voices that impress. Move, shave, Buy, Collect, Shoot, coffee! What you also get, between 14 and 20 hours surrealistic experience. Is there anything of it in any game in this generation of conformity? Last felt at Lnych's Twin Peaks or Van Trier's Spirits. This is no review. But a mediated experience. Big shopping trip this weekend. Didn't see any 3DO though. 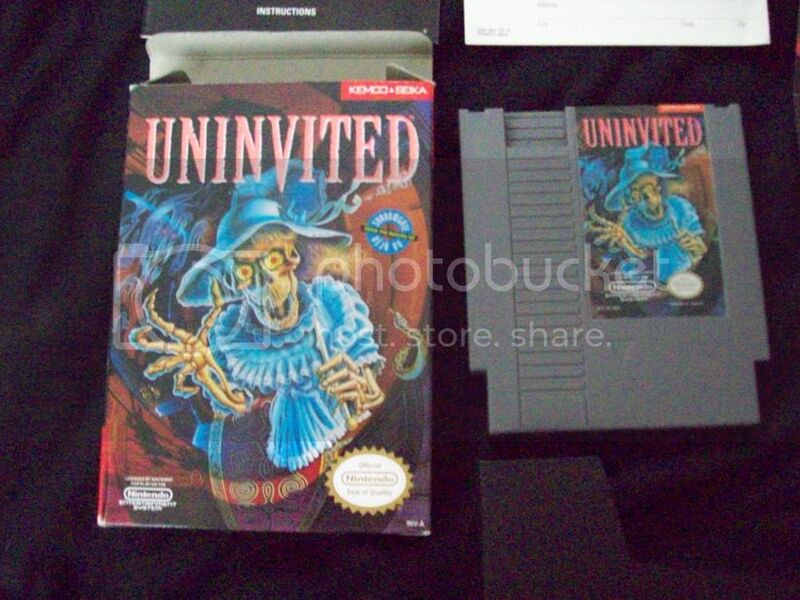 For those of you who are interested in the Uninvited/Shadowgate type games I just posted my collection of them here. That's a sweet haul you got there! 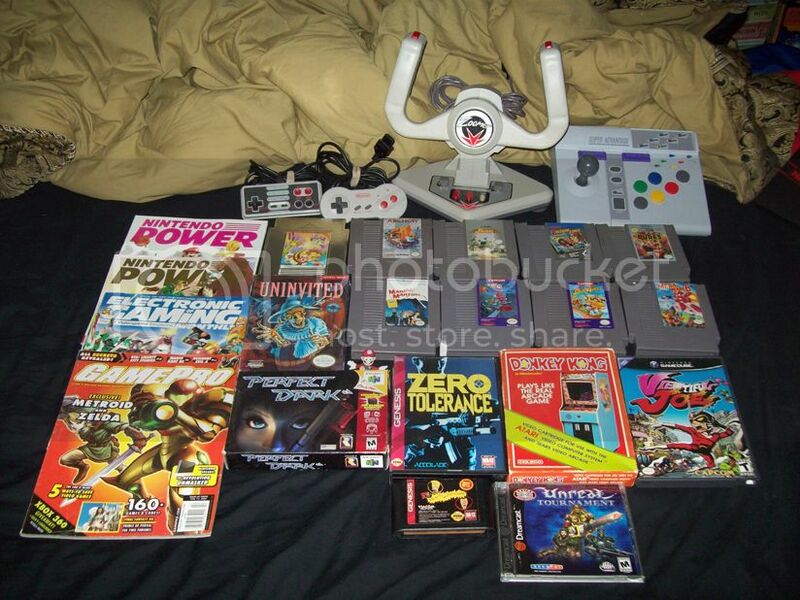 Lots of NES gems! 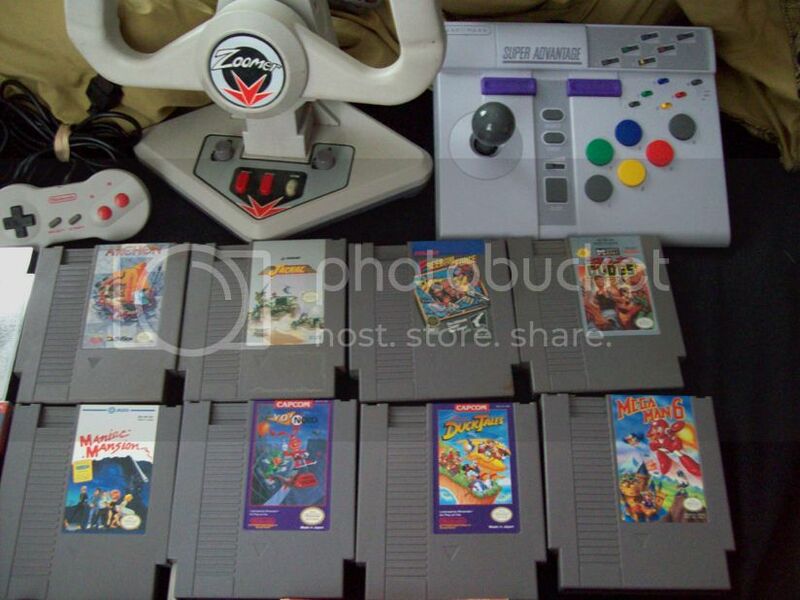 Yeah lots of NES goodies, some I bought the weekend before (listed them in another post) I saw Mega Man 4 as well but the label wasn't perfect enough, I have 1,2,3 & now 6 but they all have beautiful labels. 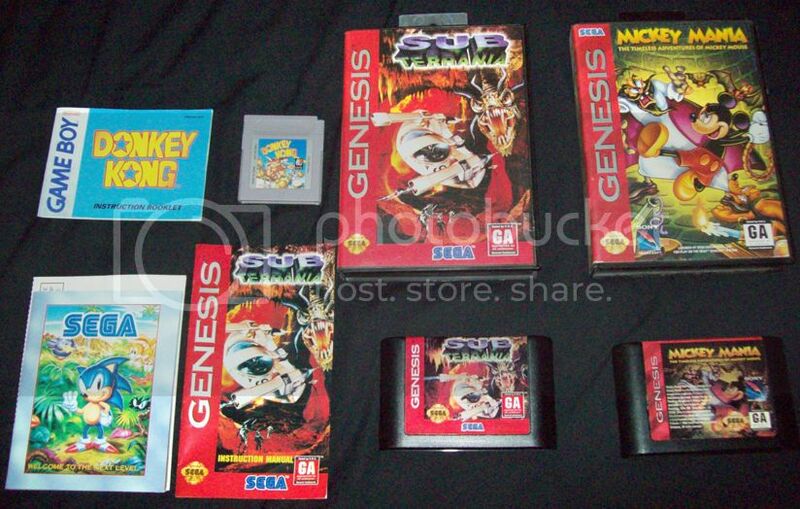 I even saw a loose Uninvited as well if anyone is interested, I am having a friend pick up Donkey Kong for GameBoy as I didn't remember if I had it at the time. I could have him grab Uninvited as well if someone wanted it. But you have to be fast as he's moving very soon. Too late if anyone wanted that loose uninvited cart. Just got this in. Sub Terrania is complete, Mickey Mania is missing the manual, Donkey Kong didn't come with a case... I really need a few of those. I thought it looked neat enough in videos, haven't played it as my only Genesis is the LaserActive and I'm not pulling that beast out anytime soon. Really with more people would post photos in this thread. Most of my recent acquisitions have been free eShop downloads ... they don't photograph well. 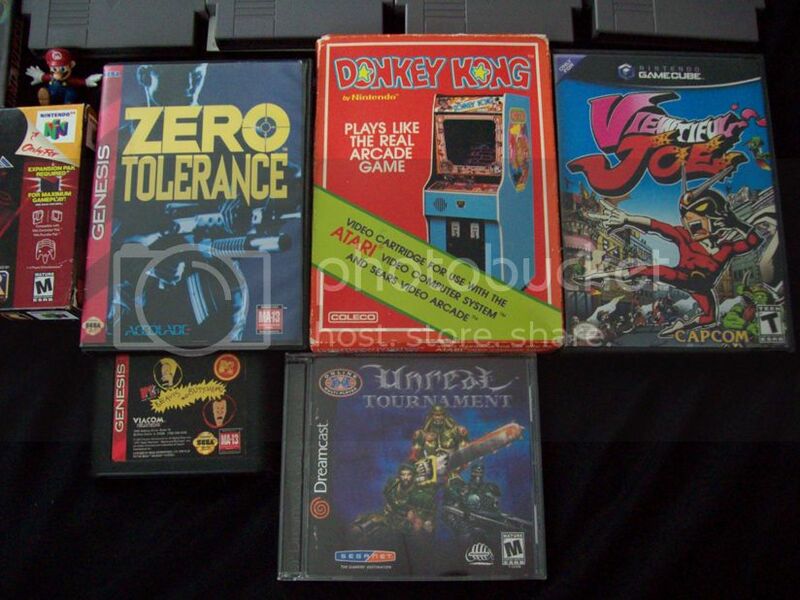 Trev wrote: Most of my recent acquisitions have been free eShop downloads ... they don't photograph well. This is one of my favorites! Although, given its mission-oriented nature and the fact you run out of gas really, really quick, it's one of those that requires memorization and practice. If you can get familiar with it though, it can feel pretty rewarding to finish. And there's nothing quite like holding down the pedal and blazing through a stage without slamming into walls once you really get the hang of things. If you decide to give it another go, slap it on Easy. I believe you get more lives, and the gravity is very weak. Putting it up to Normal, or Hard, makes the gravity much stronger, which can really make the game tough. You can also try the training room to get the hang of movement. Try to hold the gas down and do laps around the room. If you can get used to doing it without slamming into the walls, you should be good. Or crank it up to Hard mode, try the training room, and purposely slam yourself into the ground. One of my favorite things about it is the way the pieces from your ship fly up into the air. They will go much higher if you smash into the ground fast (likewise if the gravity is turned up on the higher difficulty settings). Try it in the first level as well. Really, even after you've mastered this game, it's a lot of fun just to goof around. Few 16-bit games had the realistic physics this game has. I miss playing my Gamecube. Did you get rid of it/it break? Oh that Sonic 2 I already had but I needed the box. 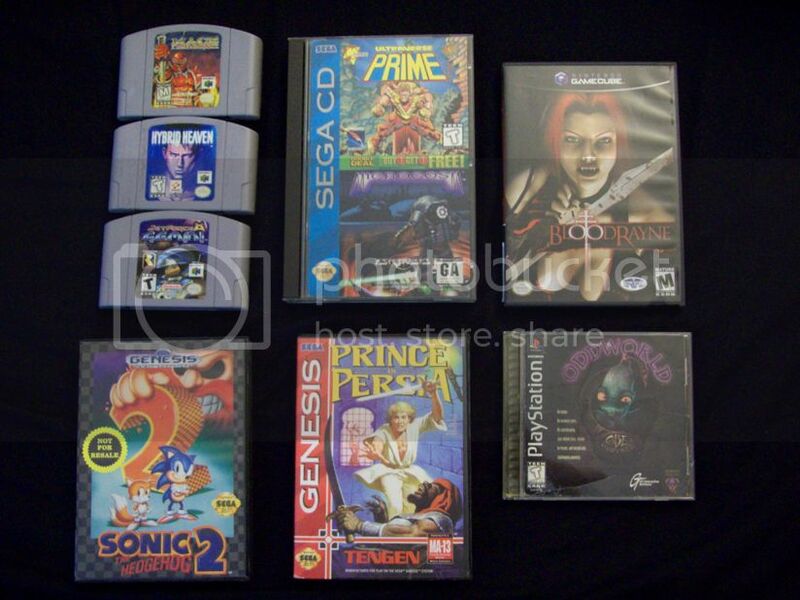 I'm going to switch all my Genesis carts to being boxed so I need a few if anyone has a good source. I still have my gamecube. It's on my shelf not hooked up as it has been for quite some time. I just miss the old memories of playing the gamecube. I remember the sounds it would make. It's just not the same playing the games on Wii. Just feeling nostalgic, that's all. 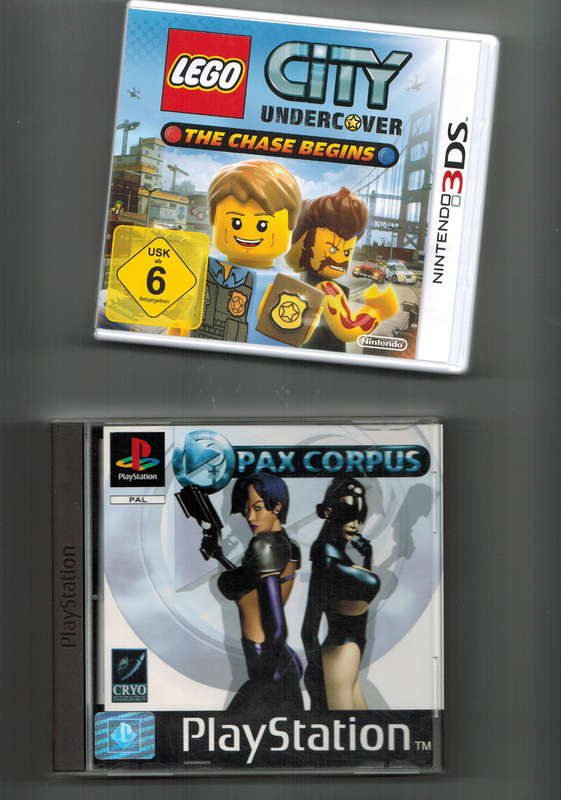 The gamecube game above just reminded me of it. *kicks at the ground* I'm not supposed to be buying more stuff but I got LEGO Star Wars Complete Saga for Wii & Darksiders II for Wii U for $15 total. 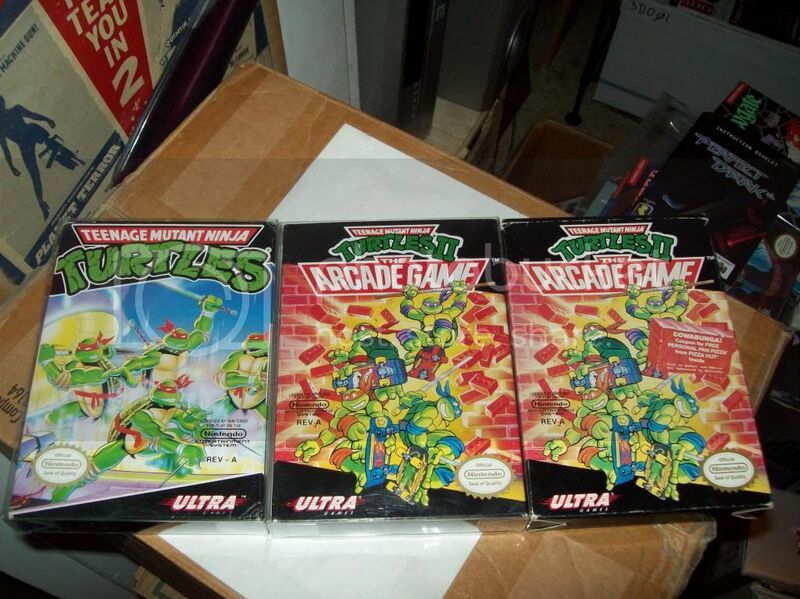 And Teenage Mutant Ninja Turtles I&II w/ boxes & manuals. *cough* Anyone got TMNT III? The two new ones are on the left, see the difference between the ink in the one I already had and those I just bought? So sweet, I just need Turtles III now. Never, ever did understand what the thinking was behind that box art for Turtles on NES. NeoGeoNinja wrote: Never, ever did understand what the thinking was behind that box art for Turtles on NES. Didn't they originally all wear red? Your comment made a vague bell ring, and it looks like Wikipedia confirms it -- the color scheme was introduced in the animated cartoon. The first game cover appears to be a replication of a later re-release/updated version of the TMNT issue #4 cover. The original had a less refined art style and was black and white. Last edited by Austin on Sat Nov 23, 2013 4:24 am, edited 1 time in total. Yeah, the entire original comics didn't have color anywhere. You just knew the turtles by their weapons. Could not get into Terraria for PS3 as I could not get into Minecraft. On one hand: Variety, do what you want - On the other hand: More monotony than an ego-shooter. The facelifted PC version coming up looks badass.